We are offering FPO Storage Bin. 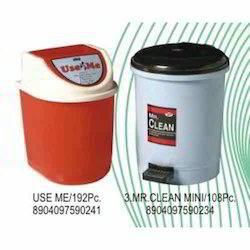 Plastic Storage Bin suppliers & exporters in India. Godskitchen deals into Plastic Dustbin, also known as trolley garbage bins, which are of uniform sizes approved by the government. The bins are inclusive of the lid. We deal in Slim Jim Bin. Keeping in mind the many requirements of the patrons, we are involved in providing a varied series of Coloured Dust Bins. We offer this product at low rates.